Bezier Games is releasing a twist on their popular party game Werewolf in June. 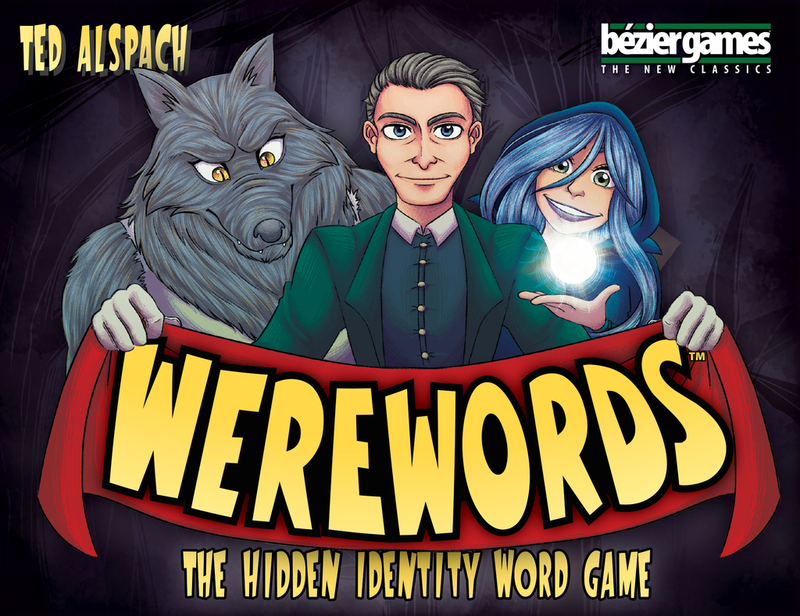 Werewords will closely resemble the board game Werewolf, but with a word guessing game element. 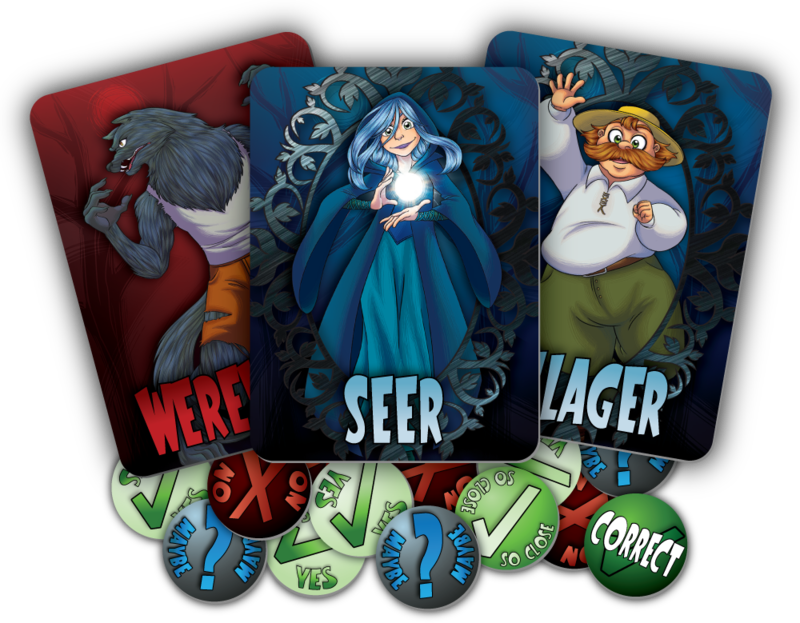 Werewords has a familiar structure, with players taking on the role of villagers and werewolves. The werewolves want to eat the villagers, while the villagers are trying to figure out who the wolves are. But there’s a twist. There is also a magic word that can save the villagers from the werewolves. Players will be asking the Mayor yes or no questions about the secret word. If the villagers guess the word before the time is up, they win. The wolves already know the secret word, so they will be working to guide the villagers away from the right answer. But they’ll have to be subtle about it, because they don’t want to get caught! The villagers will be getting a bit of help from their trusty Seer, who also knows the secret word. The Seer will be helping the villagers get close to the word, so they can save the village. But like the werewolves, the Seer has to be sneaky so they are not caught by the wolf! If the villagers aren’t able to guess the word in the allotted time, they can still win by identifying the werewolf. Conversely, if the villagers guess the secret word, the werewolf can still win if they are able to identify the Seer. The game has a free companion app that provides thousands of different secret words in multiple categories for the Mayor. The app will also have a variety of difficulty levels to choose from. Ted Alspach (Castles of Mad King Ludwig, One Night Ultimate Werewolf) designed Werewords. 4-10 people can play Werewords, which lasts about 10 minutes. The game will be released in June.